Originality, such an exquisite and exciting word , isn’t it? We all want it so real, uncopied, ORIGINAL. Freedom, an equally exciting word, sweet, desirable. Who doesn’t dream of a world where all we desire is free for all? People that offer things to the world for free are very likely to be considered as heroes. But we all know every story has two sides, sometimes with our heroes playing villainous roles to someone else. Download the torrents. Download the YouTube video, make a copy of that blockbuster, share it on a storage drive. Download a trial version of that expensive software, get the crack. No one appreciates the heroics behind all that freedom. To use without restriction. No one appreciates the brilliant minds behind all our free share websites that are frequently changing URLs, or the magnificent share apps on our smartphones. We need to take a moment and appreciate all this, don’t we? I dare say NO. Behind every work of art, the music master piece, smooth running software, the perfectly scripted movie lies years of practice, commitment, trying and failing. And what else would impress these architects of our society like simply appreciating what they do, screaming their names out with love? Making their lives better!! The same society that screams their names out with love will be waiting for their failure, for their lives to fall apart, for the debts and trauma that has eaten up so many celebrities and we are always so ready to point fingers, he did drugs, she sold her body out to any guy that crossed her path, he was extravagant, she was arrogant. So judgmental but we forget the one in the mirror. When was the last time you actually paid for the great things they had to offer when they still could? The free music, the movie streaming, the cracked software. It was all exciting. But somewhere else, someone waited for their work to pay off and it didn’t. They could see the illusions of it paying off as you cheered, they could read your favorite billboards that compared their expenses and pressured them to spend more, they heard it, they saw it…, But it never paid them in the way that mattered most. Poetry: Seven Days Of An African Woman! Her face is sad again, poor woman of Africa! To the African woman, mother, and leader for forever harmony! Fort Portal Propaganda: Omusaijja Tayangwa, A man is unrejectable! Quite often in the country, Fort Portal is acknowledged for several of its beautiful landscapes and several other terms good and bad, but one custom thats left everyone ears about their culture is the unforgettable phrase “omusaijja tayangwa” meaning a man is unrejectable. To many youth today it may come as a cliche but from the many world views, women activists can settle to criticize and blow up an argument which given the circumstance is virtual regardless of emotions. However its custom that a girl in Tooro wouldn’t and still cannot be married off without her consent, hence many a time during a traditional wedding the brides father says I cannot deny the man my daughter has brought home and the many in ear shot have transformed this into the phrase that sells of the binds of the custom as well the feminine virtual of the culture. Just as Buganda is a very staunch and conserved culture in Uganda, Tooro is not just a beautiful city with an English name its culture is still a priority and at times confused due to a language barrier. Its today culture resonates in an ongoing generation don’t let it slide English is a visitor native is us, every culture everywhere. Recently, the President of Uganda ordered the Ministry of Education to reinstate Professor Balunywa as the Makerere University Business School Principal, a move that has been tainted with heavy contention and invited by mixed reactions from the public. The NRM government has been famed for its “rule by law” and not rule of law tendencies, the degree at which they bend the acceptable and established laws is alarming and here they are again with repeated statutory contravention. The Compensations Act CAP 286 under section 12 makes compulsory the retirement of all officers on attaining 60 years. Sub section 2 of the same section bestows to the President the power to only order an officer to retire and as such the position of the law as regards reappointment of retired officers is clearly not in to the President. Mr Balunywa as per his passport was born on December 3rd, 1955 which makes him 62 years old and his reappointment by the President is therefore in violation of this provision. Section 83 of the Universities and Other Tertiary Institutions Act of 2001 mandates the Education Service Commission to appoint Principals of Public Tertiary Institutions on the terms and conditions that are to be determined by the same commission. The same section further guarantees a 5 year term and also for reappointment. The power therefore doesn’t belong in the hands of the President. Mr Balunywa as a Presidential appointment did not appear before Parliament for vetting as is required for all Presidential appointments. The appointment letter of Professor Balunywa from the office of the President to the Ministry of Education dated May 28th, 2018 lacks an expiration date, time is always of essence in performance of a contract with reference to the contractual jurisprudence case of Panesar v Popat. The Ministry of Education and Uganda Law Society are hereby called upon to keep this matter on watch. I further demand that the Education Service Commission to advertise the post of Principal of Makerere Business School to allow others the opportunity vie for the prestigious position and to the President, a respect for the law. Opinion: Legal climate surrounding bail and bond for all criminals. The President, while addressing the nation at the reading of the National and Fiscal Budget expressed the need to remove bail and bond provisions from the criminal jurisprudence of the nation for perpetrators. This came days after ruthless killers claimed the life of yet another Ugandan political big wig the late Ibrahim Abiriga, the former Arua Municipality member of parliament last week. Over the last 23 years since the institution of the current Constitution, bail has been an existent provision under article 23 (6) which enables article 28 (3)(c) which avails to anyone charged with a criminal offence adequate time and facilities for the preparation of their defence. Bond and Bail go a long way in helping the charged parties in organise their defence. Articles 98 and 99 clearly specify the function and authority of the President, however, Constitutional matters belong only to those in the legislature not the executive. He may lobby legislators to have his resolution passed but he will not. Bail is a fundamental human right and is inherent by virtue of one being a human being. President Museveni is seen to reiterate his plan in this tweet. No one is above the law and that’s what article 2 on supremacy of the Constitution secures, the President therefore cannot wake up and have the provisions of our grundnorm defiled at his discretion, his exercise of authority should be in line with the Constitution. I hereby call upon the Judiciary, Judicial Service Commission, Constitution Reform Commission, Uganda Law Society and other stakeholders to stand up and out against this process, also lock forces and see to it that the rule of law is maintained and upheld. Music: African Reality Album is finally here! As I write, Clear Block Gang artiste Ariong James Oscar a.k.a AJO has come up with a new release date as this June 29th, 2018 for his highly anticipated “African Reality” album. The 14-track album has so far received lots of positive views and reaction from various music listeners especially those that have listened to the Transcend and Nuba hit songs. African Reality like its name looks at analysing history, celebrating culture and documenting the beauty that is our motherland, Africa. The Album further features Ugandan song birds Sandra Kay, Akongo, Essie, Jason Ntaro plus Nase Avatar, Sam Lamara (Samurai) among other producers. The Album is a tale of African evolution right from the whites’ discovery of the “dark continent” and preaches a message of Africa to the rest of the world. All mixed and mastered by Nase Avatar at Port Bell Drive music. The album will be available for only Ug Shs 15,000. Saturday 17.03.2018 happened to be the annual Uganda Christian University lawyers’ “get together” event at Pearl of Africa Hotel Kampala that is always organized by the Law Society, a body uniting all the bar course students in the University. An excited student shows off his Law Dinner tickets. Not to forget, live band performance was the centre of the entertainment. This year’s edition, which was of course dubbed, “Glamour at the Pearl” came along with lots of pleasant surprises as the matriculants (or as they love to be called, “freshers”) set and indeed raised the bar for their seniors when it came to display of attire both at the red carpet and the main event. And, thanks to technological advancements, we were able to save some of the littest shots of the night. Take a look. Feel free to leave a comment below and to Follow the writer on Twitter (@RaymoUG) and be sure to enter in your email for subscription for these and more stories. Also subscribe to our Youtube channel to watch videos from the law dinner. Ugandan rap sensation Ruyonga is set to release his long awaited album, The Voice Of My Father. His fans in Uganda, Africa and across the world expressed their feelings towards the snippets that the rapper took to post on his Instagram. Below is the Instagram post he made this morning. The Voice Of My Father is coming soon to iTunes, Spotify, Soundcloud, Youtube and the other major music tabloids. 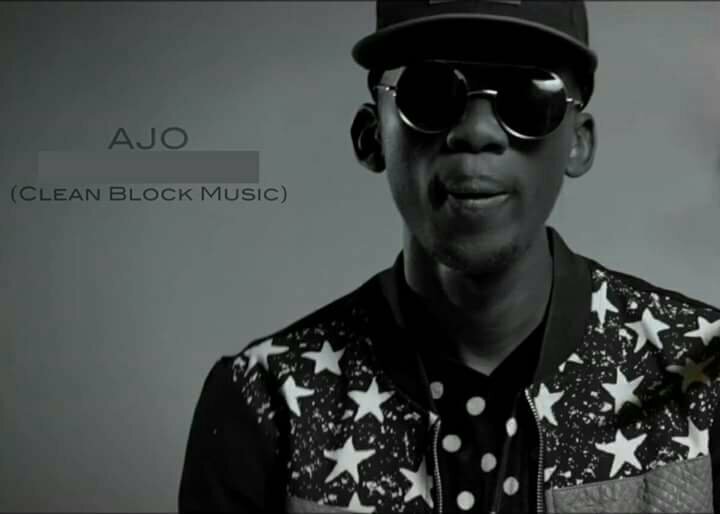 HIP HOP: Unveiling “AJO” the East African rap sensation. “AJO” real names Ariong James Oscar is a Ugandan born and raised HOP / RAP recording artist and song writer. Born 18th May 1988 to a Dr Atai Anne and Mr James Okaali. AJO has established himself as a vibrabt and an outspoken rapper with an impressive emulsion of wit, literacy and character in his lyrics a skill which has led many to describe him as an intersection of hip hop talent. AJO’s ambition and love for music predated his initiation into the hip hop fraternity, “he always loved music, as a child he used to wake everybody up early in the morning with his humming or chanting away to some orchestra in his mind – Dr Atai Anne. AJO started listening to hip hop music round the age of 12 shortly after his primary school. He fell in love with the message, the attitude, the freedom, the intricacy and the respect this genre of music commanded. It was during this time that he started to write cover versions to his favourite hip hop songs and gradually he developed his lyrical skill. AJO went further to record a couple of songs like; Rap music I sing, Rap city, Take it down easy & then he teamed up with one of the best music producers in Uganda, HANNZ TACTIQ, together with whom he did his first radio smash song, NEVER BACK DOWN on which he featured Lethal & Hannz Tactiq himself. Tgis song went on to enjoy radio streaming and made it to a music chart on one radio station, HOT 100. AJO didn’t stop there, he later got in touch with a former rapper turned producer, Joe Tumwebaze a.k.a J.T founder of Yego productions, a recording label and its here that AJO fully embraced his passion for a hip hop music career. Mentored by J.T, he mastered his craft and released his first music compilation titled “Rap Music I Sing”, a piece that takes the listener through an indepth understanding of hik as an artist and a hukan being plus an appreciation of his lyrical maturity. After which AJO released his break through EP titled No Apologies that got nominated for Album of the year and got him nominated for Rookie of the year in the Uganda HipHop Awards 16. AJO is definitely a must listen to artist with an ambition and talent enough to be the best in Africa and probably across the continent.